Excess moisture supports the growth of harmful bacteria, mold spores, mildew, dust mites, and other types of pests. Allergens from these spores can lead to poor health and breathing problems and cause rotting to the interior structure of your house. It also can cause structural damage to your home's wooden frame and certain types of insulation. These problems in your crawl space can have both immediate and long-term damage to your home. Built up moisture can also cause deterioration of floor joists, beams, sub-flooring, insulation, and electrical-mechanical systems. The crawl space professionals at Jerry's Waterproofing are here to help! 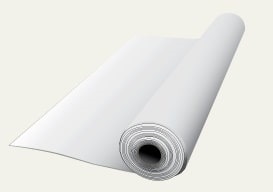 Crawl space sealing, sometimes called a vapor barrier, can protect your home from moisture by providing a non-permeable wall to diffuse moisture that can creep into your living space and cause higher humidity levels, condensation, and other problems. It will prevent, or at least slow, the evaporation of ground moisture into the crawl space air, and, if it is coupled with a waterproofing system, it will expel the moisture and water from the crawl space area altogether. Crawl space sealing can also block most of the movement of harmful gases, such as radon, from the soil. For crawl space repair, contact the experts at Jerry's Waterproofing. These problems will no longer be a concern once you invest in crawl space sealing from Jerry's Waterproofing. 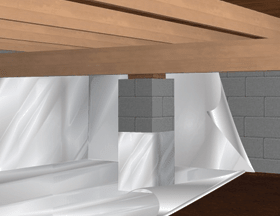 The crawl space sealant is a thick sheeting that is put on the interior walls and surface of the crawl space using a process called crawl space encapsulation. This barrier helps to seal moisture out of the crawl space, keeping the area dry and healthy for you and your family. Keep your home dry and your family safe and healthy by calling Jerry's Waterproofing to install crawl space sealing within your crawl space. In order to prevent these issues from not having crawl space sealing it is important to have a professional come in and take care of this task to ensure your family's safety. Contact Jerry's Waterproofing today to create a healthier home environment for you and your family.